The earliest mention we have seen of this firm is from 1874, as the Aultman-Taylor Manufacturing Co. The principals were Cornelius Aultman and H. H. Taylor. 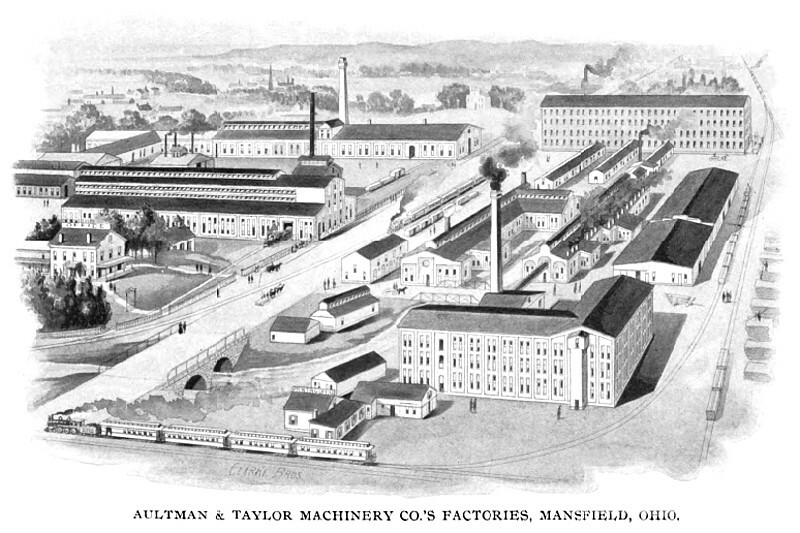 The name "Aultman-Taylor Machinery Co." was registered in Ohio on 1 September 1891. The registration was canceled on 15 February 1927. This firm was formed as a reorganization of the C. Aultman & Co. and was bought out by the Allis-Chalmers Mfg. Co. Listed in the 1874 work, Wiley's American iron trade manual of the leading iron industries of the United States as a maker of "threshing machines and general agricultural machinery." Mentioned in The Circular Sawmill by C. H. Wendel. 1895, 1898, 1915 catalogs. 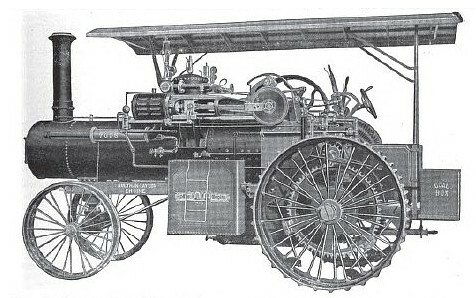 Wendel reports an 1898 Aultman & Taylor catalog showing their Pony "F" sawmill, and notes that a 1901 catalog from Advance Thresher Co. of Battle Creek, MI, shows the same machine using the same engraving. And catalogs of M. Rumely Co. of LaPorte, IN show the same mill. One online source describes an Aultman & Taylor sawmill as unusual in how the carriage is moved by a rack-and-pinion mechanism rather than the usual cable wrapped around a drum. Wendel says of a C. Aultman & Co. sawmill, "Like many other mills of the time, this one used a rack-and-pinion carriage drive."